Some years ago a vast amount of research was conducted on Bermuda grass seed to see if the cold tolerance could be enhanced. Drought situations in the northern western states areas have created the need for Bermuda grass to survive the winters. In the southern areas of the country, there has been a need for a Bermuda grass that doesn’t go dormant in the winter-the need for fall overseeding has been a major expense to golf courses and public facilities. In addition to what this research shows, there is also the need to create a Bermuda grass that is less stemmy and more leafy for appearance and softness reasons. Out of this research has come a blend of turf-type Bermuda grass seed which we call Bermuda Shorts®. Bermuda Shorts® bermuda grass seed blend is well formulated, too. It has a rapid recovery from mechanical injury. It will green up in the early spring, and have great color retention in the fall. Winter kill won’t be a problem. This name was chosen because it readily identifies a positive aspect of this product which is the ability to be mowed short. It will tolerate a cutting height of less than a 1/2″. The internodes are very close together, thus creating a more leafy texture, not a stemmy one. The growth rate is reduced, thus affecting the need for frequent verticutting. Mow ability is best when using a reel mower. Winter dormancy is shorter than common Bermuda grass. Water consumption is low and alkalinity tolerance is high. The recommended seeding rate is 4-5#/1,000 sq. ft. The seed is coated with a green clay coating to aid in the distribution of the seed. The ideal time to sow is between May through September in warmer climates. Germination will occur between 10-14 days. The basic facts about our grass blend are that it produces a rich, green grass that’s fine in texture and it has a strong growth habit. Plus, its growing season is longer than other Bermudas. You can allow it to be exposed to cold and drought conditions because they won’t bother it at all. We’ve fashioned our Bermuda Shorts seed blend to be maintained without a lot of effort. After the grass is established, it requires 30% less water than other Bermudas. So just imagine how beautifully it will work for you. Our blend is easily planted. Bermuda Shorts® is available in seed only. Bermuda seems to grow every place in the arid south. A whisper of moisture and warm soil seems to get it started either from seed or sprigs. The turf industry recognized years ago that Bermudagrass had a lot of great attributes but, a negative one was the distance between the innernodes or leaves. So, they went about trying to get them to look more turf like. The results of that plant breeding are the turf type bermudagrasses. 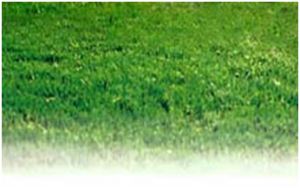 We have formulated the best turf type bermudagrass into a product known as Bermuda shorts. Our criteria are density. We get very close to the density of vegetatively propagated varieties of bermudagrass using seed. We all know that seed is easier to spread than sprigs, stolons, or sod. Seeding rate: 2-4#/1000 sq ft.